On March 19, the Summit Forum of Foreign-funded Enterprises in China 2012 with the theme of "Innovation• Responsibility” was held in Sanya, in which the topic of corporate social responsibility became the hot spot once again. During the communication, many customers raised the actions of their respective enterprises during the performance of their social responsibility. As the most important customer of CCTV Advertising Center, Yum! Restaurants (China) won two awards, that is, “Best Localized Enterprise” and “Best Enterprise of the Year” in the “Best Foreign-Funded Enterprises in China”, thus it has many experience in the performance of social responsibility, particularly in employee recruitment and training and public welfare undertaking. During the communication with its Public Affairs General Director, I understood that the company will give a clear career and systematic management training on each new employee entering the restaurant under Yum! Restaurants (China): “reserved restaurant manager” shall firstly enter the “leading personnel cultivation plan”, so as to obtain the one-to-one coaching support, thus gradually starting to undertake the tasks alone and within three to four years, grow into the restaurant manager responsible for the operation revenue of above ten million RMB and leading the team of one hundred persons; the restaurant manager will still have the opportunity of becoming the zone manager, regional manager and market manager, thus managing more than 300 large chain stores and leading more than ten thousand excellent employees. Therefore, Yum! Restaurants (China) insists that 100% of the management personnel in the operation and management team shall be cultivated and promoted inside, without the “airborne force”. In addition, Yum! Restaurants (China) still insists on providing the diversified vocational development directions and choices for the employees, and even the employees have the opportunity to become the franchisees of Yum! Restaurants (China) and have their own restaurants. The human-oriented corporate culture, systemic and complete training system, diversified vocational development channel, supporting and coaching management style, enthusiastic and energetic team ambience are the core competitivenesses of Yum! Restaurants (China) to attract and retain human talents, and make them be devoted to and love their work and realize personal development. In addition, Yum! Restaurants (China) is also very active in participating in the public welfare undertakings. For example, after the Wenchuan Earthquake in 2008, Yum! Restaurants (China) and its employees donated their money as well as the foods and materials to the disaster-hit area; sent the bread, purified water and drugs to the people and the saving officials and soldiers in the disaster-hit areas; established the “Morning Light Fund” to assist more than one thousand university students in the disaster-hit areas; at the same time, the restaurants affiliated to Yum! Restaurants (China) gave priority to the job-seekers from the disaster-hit zones nationwide. After May 12, 2008, Yum! Restaurants (China) and China Foundation for Poverty Alleviation (CFPA) jointly made new attempt to promote the awareness of social service, and from 2008, Yum! Restaurants (China) and China Foundation for Poverty Alleviation (CFPA) co-initiated “Donate One RMB, Contribute Your Loving Care and Send the Nutrition” activity, encouraging every consumer entering the restaurant to donate one RMB through thousands of restaurants under Yum! Restaurants (China) nationwide, thus providing the nutrition for the children in the disaster-hit areas. The “Donate One RMB” has continued four years. 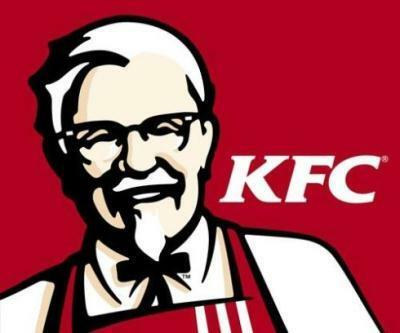 Since 1987, the first KFC restaurant was opened at Qianmen in Beijing, Yum! Restaurants (China) has been in China for 25 years, laying constantly high emphasis on corporate social responsibility and active involvement in public welfare undertakings. 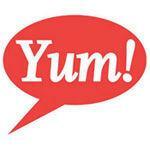 According to the customer, the operation revenue of Yum! Restaurants (China) in 2011 realized the growth of 29%, and opened 656 new shops. In 2012, Yum! Restaurants (China) plans to open another 600 shops and recruit 15,000 university graduates as the reserved restaurant managers, which create the historical new high in either recruitment number or scale. Next news: 2nd ‘Haikou in Spring’ Tourism Arts Festival to kick off in Sept.